Dubai: Morocco, as part of the Saudi-led coalition, will send ground troops to fight against the Al Houthi militants in Yemen. Sources said that 1,500 soldiers will be dispatched to help in the efforts to restore the legitimate Yemeni government. According to 24.ae, a team of paratroopers will also be sent to fight in the ground offensive. The Moroccan newspaper ‘Al Sabah’ reported that these teams will be transferred within a few days to the King Khalid Air Base in Saudi Arabia. So far, Moroccan operations in Yemen were limited to air strikes with a few F-16 fighter-jets, one of which was shot down in May, killing the pilot. The role of Arab coalition forces has been praised by Brigadier General Ahmad Abdullah Turki, Commander of the Third Brigade and Commander of the western sector. He singled out the role UAE forces have played in bringing stability to Aden. He said UAE action was not confined to air strikes alone but UAE troops have been active in the liberation of Aden and other southern cities, alongside their “brothers” in the national resistance army. “Our Emirati brothers surprised us with their high morale and unique combat skills,” he said. He said the UAE provided crucial military equipment to help aid resistance fighters on Yemen’s western coastline. Meanwhile, Yemeni sources accused Iran of supplying Al Houthi militants with a new batch of advanced weapons. The sources told Al Sharq Al Awsat that the weapons were being smuggled through the provinces of Hadramout, Mahara and Shabwa. 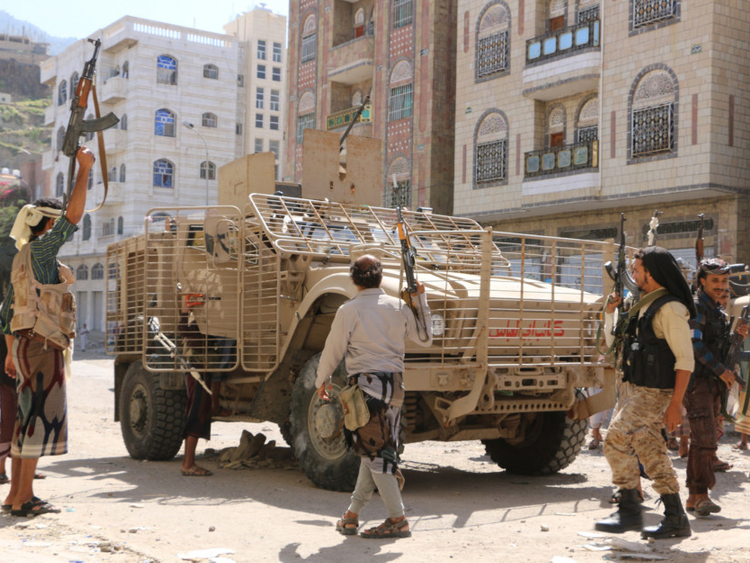 Ground sources in Taiz say Al Houthis are using new and sophisticated weaponry, some of which they confiscated from Yemeni resistance fighters.